This is normally translated "bravery" or "valiant." It was one of the chief virtues of a Samurai Warrior. They must not fear, no matter the opposition and no matter the odds. For them, to fear would be worse than death. This same virtue of bravely is also widely regarded in the Western world. 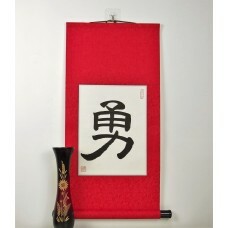 This symbol wall scroll is a reminder to boldly face whatever the future throws your way. Both Chinese and Japanese cultures alike highly value bravery. While this scroll could be suitable for anyone, we would suggest it as a gift for men, who may strongly value the masculinity associated with this character. The scroll will hang strong in proud in a den or man's room. 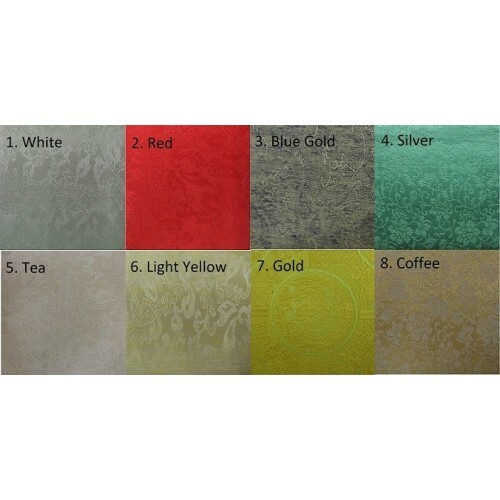 It could also be an excellent gift for a student of the martial arts such as karate or kung fu. One occasion for gifting this scroll is a graduation ceremony where a student advances a rank in the martial arts or at graduation when great bravery is needed to take the next step in life. Both of these proud Asian cultures also deeply appreciate the art of giving blessings and good wishes to others. So a gift like this also denotes that you wish bravery and strength of resolve upon the recipient. Japanese kanji and Chinese characters are the same so the scroll can be read and understand by people from both groups.